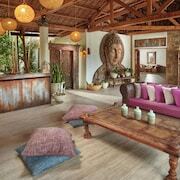 Staff are very welcoming and a good place to de-toxify from d city vibe. 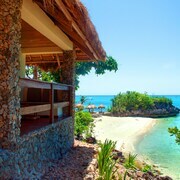 It was quiet and I was able to go island hopping right from the shore of the resort everyday. They had everything their as well for activities . Kayaks , sea-doo paddle boats , tennis courts , basket ball court . I received a treat every night in the evening. I thought that was a special surprise that I enjoyed looking forward too, and wondering what that might be . 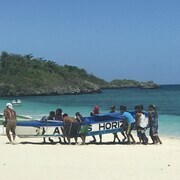 Travellers to Daanbantayan give high marks for the beaches. 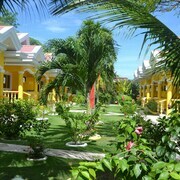 Tourists can also enjoy so much more including its ecotours. 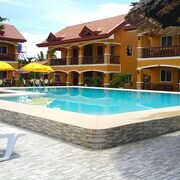 In Daanbantayan, there are 23 hotels and other accommodation options to choose from. 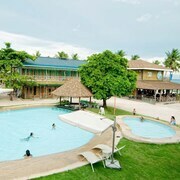 Explore Daanbantayan with Expedia.com.ph’s Travel Guides to find the best flights, cars, vacation packages and more!